I hate starting off pasty experiences with disappointment, but that’s exactly what happened at Marquee Marque Pasties. While the front page of their website features a pasty costume of some sort in front of the shop, I was unfortunately not greeted by such. Then again, the rest of their website seemed to be made in the mid-2000s with pictures of pasties that were not their own. Even their ‘History of the Pasty’ looks to be taken from a project some kids did up at Michigan Tech. At the least, they do have an updated menu on the site, so I guess that’s all that matters. Also, these cars were posted on their Yelp page, but I didn’t run into them. Marquee can be found northeast of metro Detroit in Clinton, just south of M-59. 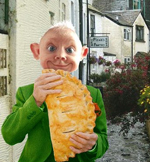 As with many other pasty places in the area, it’s located in a small shopping center… next to a bird store named ‘Parrotzville’. 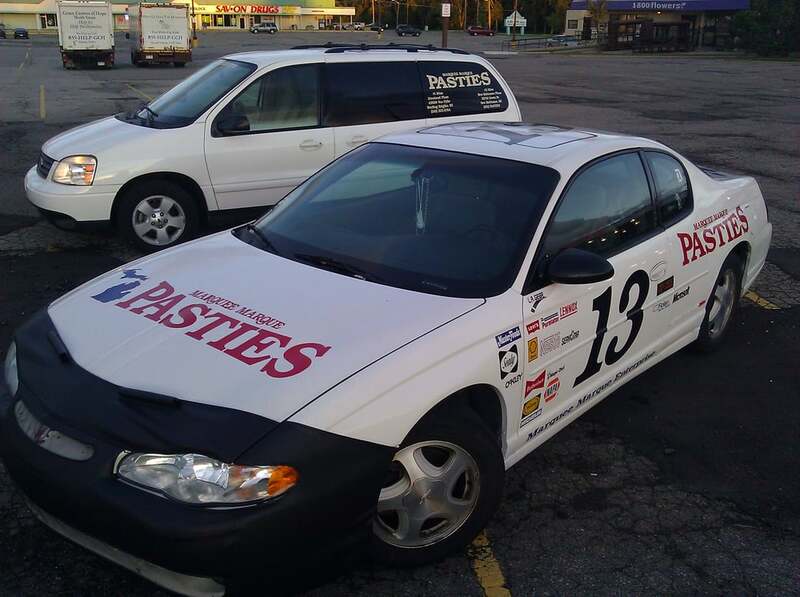 As for the pasties, going off the website, they are the “Home-style favorite of Michigan’s Upper Peninsula.” Maybe so, but what is also true is that they have this picture on their ‘Contact Us’ page. My first crack into the beef was just that, a crack. The crust cracked off on the edge and that left me not expecting much. But hey, that was probably the worst part of the pasty. The edges were hard and the middle soft with little-to-no flakiness. The flavor was good, a bit interesting, but it passed my taste test. However, it didn’t exactly pass the presentation test as the fillings looked like mush. Everything was smashed together, including the meat, which had a little redness to it. It was like eating mashed potatoes with meat and carrots in it. At the least, that took away any chance of it being dry, but it also didn’t make it look the most appealing as seen by the pictures. The look – and somewhat taste – reminded me a bit of corned beef hash. I love corned beef hash, but I wouldn’t call this a ‘home-style favorite of the U.P.’ This version is a little different than up north. While there were some question marks regarding the website and presentation of the pasty, I enjoyed the taste of it and can’t bash Marquee too much. Update: Had a frozen kielbasa pasty and this crust was better than the one rated prior. Maybe because I cooked it myself? But, there is definitely too much salt in these, which I didn’t mention above.